Pearls rich in essential minerals can help treat killer diseases like cancer, a leading scientist has claimed. In a series of experiments by Ajai Kumar Sonkar at the Pearl Aquaculture Research Foundation in Port Blair, pearls produced through special culture technique have been found to contain traces of several metals and minerals which are known to have major health benefits. “We have produced the pearls in a controlled environment in the lab in most aseptic conditions. They are found to contain traces of metal and minerals such as zinc, copper, magnesium, iron, calcium, sodium and potassium,” Sonkar said. “These micro-nutrients are essential for various body functions such as metabolism, growth and immunity. Of them, zinc has been found to be playing a major role in preventing fatal diseases like cancer,” he told PTI. A study, published recently in the British Journal of Cancer, has also established zinc’s anti-tumour role that prevents the growth of cancer cells. Other studies have also found that zinc deficiency in the body causes delayed healing of wounds. It is also found to play a leading role in weight loss, help decrease the severity and duration of cold and several other illnesses. According to Sonkar, they have produced pearls from four different species of pearl oysters. 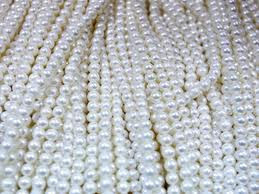 “The bio availability of zinc in the pearls can be exploited to help treat several diseases.” For scientific analysis, the scientist had sent samples of pearl powder to the Indian Council of Agricultural Research’s Central Institute of Fisheries Technology in Cochin, which established the pearls do contain all the mentioned metals and minerals. Now, Sonkar wanted to carry out a comprehensive clinical test to find out health benefits of the specially cultured pearls. “I have already been approached by some prestigious laboratories from abroad and a workout process is going on,” he said and hoped that “some miraculous result to counter the notorious deceases could be found, if a comprehensive clinical analysis is conducted“. In the pearl culturing operation, one to three-years-old oysters undergo surgical implantation, known as seeding, in which mantle issue is taken from the donor oyster and grafted in the recipient oyster along with the nucleus. Then these oysters are kept in laboratory condition for healing, after which they are transferred to the sea placed in the cages where they remain six months to two year for pearl formation. The oyster can produce more than one pearl in its life time by taking good care of it, including regular cleaning of the outer shell to remove seaweed.